WASHINGTON — Sen. Kamala Harris, D-Calif., announced on Monday that she will run for president in 2020, becoming the third senator since December to enter what is likely to be a crowded Democratic primary field. "I am running for president," Harris, the first African-American to formally enter the 2020 fray, said on an early-morning Martin Luther King Jr. Day interview on ABC's "Good Morning America." 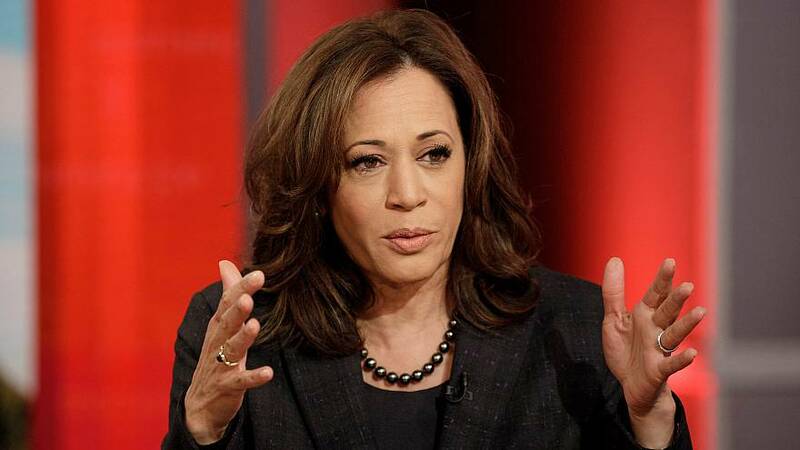 Harris, 54, is unusual among likely 2020 presidential contenders in that she entered the national spotlight largely after President Donald Trump's election. With a high-profile perch on the Senate Judiciary Committee, she earned a following among Democrats for her methodical cross-examinations of the administration's cabinet and judicial nominees, especially during Justice Brett Kavanaugh's closely watched confirmation process. On policy, she has tacked toward the progressive end in the Senate, including signing onto a Medicare For All bill backed by Sen. Bernie Sanders, I-Vt. Her own legislation includes the LIFT Act, which would create a monthly tax benefit as high as $500 for working families, and a bill with Sen. Rand Paul, R-Ky., that would encourage states to reform their cash bail system. Harris has also put a heavy emphasis on immigration, including calling on Homeland Security Secretary Kirstjen Nielsen to resign after changes to administration policy led authorities to separate children from their parents at the border. And in her recently published memoir, The Truths We Hold: An American Journey, Harris recounts her upbringing as the daughter of an Indian mother and a Jamaican father, both of whom immigrated to the United States to pursue degrees at University of California at Berkeley. As a career prosecutor, Harris won her first campaign in 2004 for San Francisco district attorney. She then went on to serve as California attorney general before winning a Senate seat to replace Barbara Boxer in 2016. However, her past legal career is likely to come under scrutiny in the Democratic primary, where voters have grown more skeptical of law enforcement amid a wave of activism centered on police misconduct and racial disparities in the justice system. Harris has described herself as a "progressive prosecutor" who spent her career focused on addressing systemic inequality, improving relationships between police and minority communities, and protecting marginalized groups from hate crimes. But not everyone is convinced that Harris can transcend her tenure as California's chief law enforcer. She has faced recent criticism from the leftfor her push to criminalize parents whose children skip school and her decision to defend the state's death penalty in court despite her personal opposition to capital punishment. Harris is expected to headquarter her campaign an hour north of Washington in Baltimore, Maryland. Juan Rodriguez, who managed Harris' 2016 senate campaign, is expected to serve again as her campaign manager.